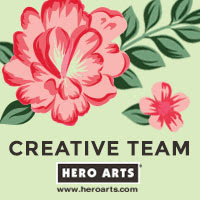 Hello there, I have had this card on my desk for a few weeks meaning to share it with you. Finally, here it is! 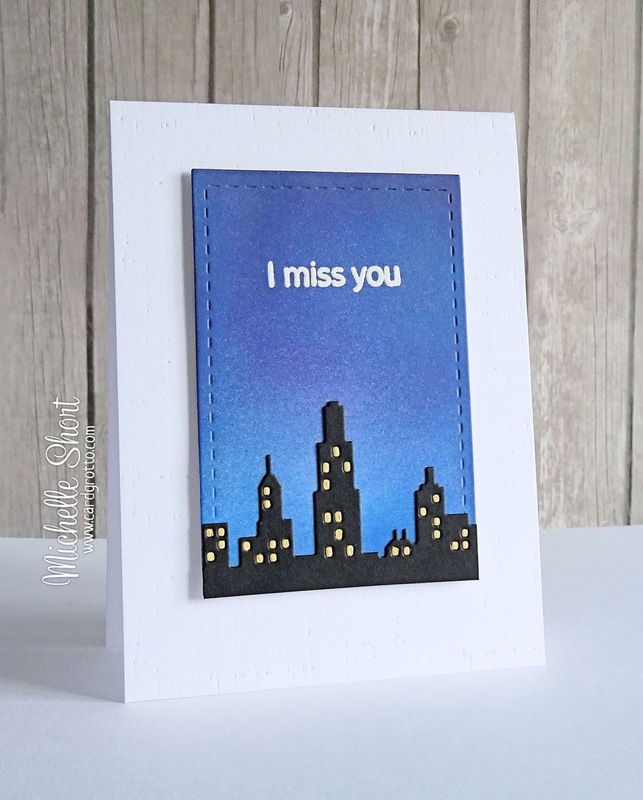 I have first taken the Clearly Besotted Cityscape die and cut it from black and yellow cardstocks. I have taken the windows from the black and inlaid them using the yellow. I have added the city scene on to a panel which has been made by blending various Tim Holtz Distress Inks to create a sky. 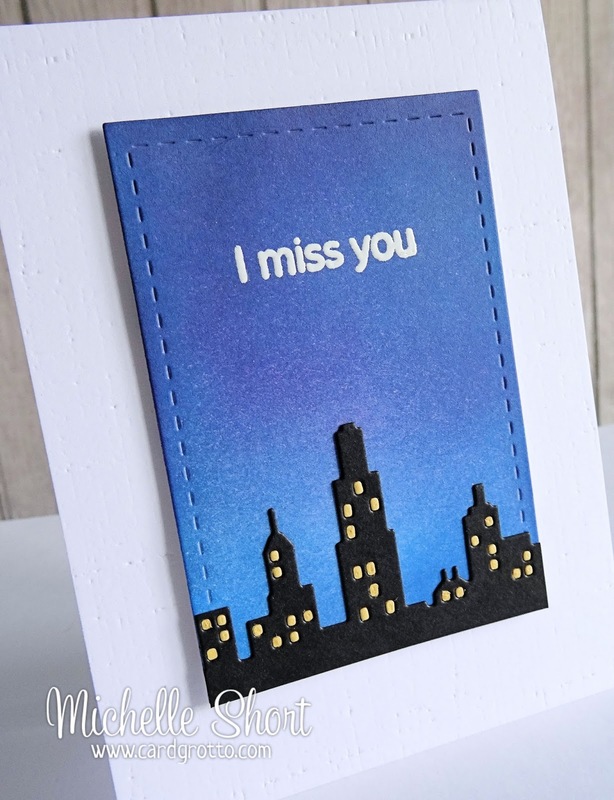 I have then stamped the sentiment, from the A Little Sentimental set, with Versamark and heat embossed in white. The panel has been adhered with foam tape to a card base which has been run through my Cuttlebug using the PTI Linen Embossing Plate. 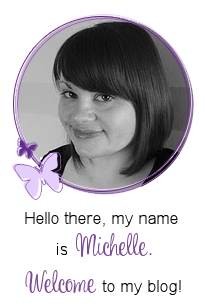 This is stunning Michelle, such a stylish design, the sky looks amazing. Brilliant card - love that sky! Fantastic card! Love the contrast between the blue and the black.